Protect your kitchen walls with a splashback that is as stylish as it is practical. Our red glass splashback measures 750mm x 600mm x 6mm and has a glossy, high-shine finish that makes it a striking choice for any home. Manufactured from toughened glass, this splashback is resistant to scratches and heat up to 700°C. 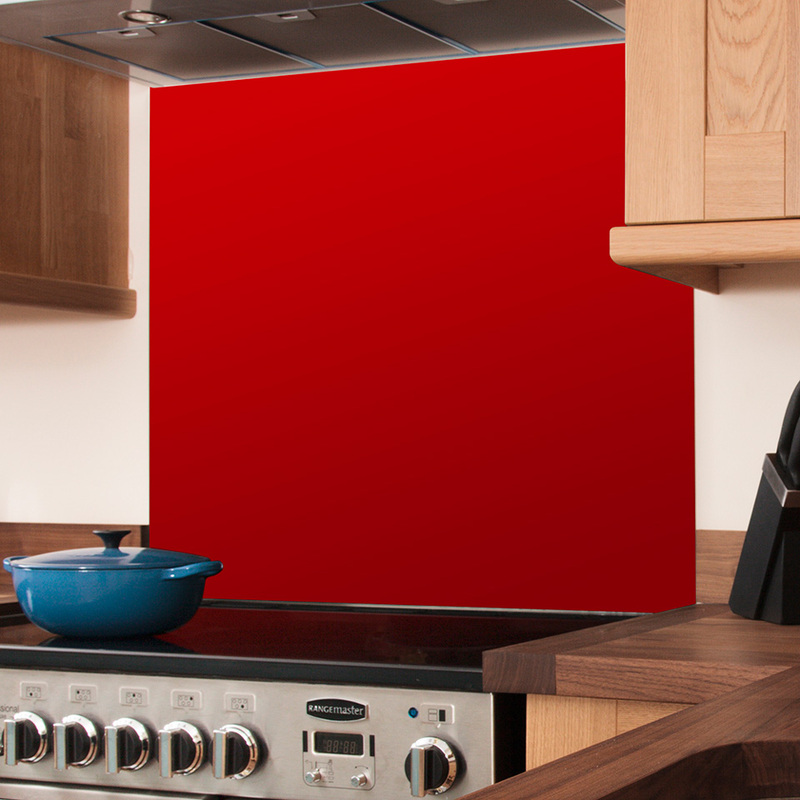 This red splashback utilises Optiwhite™ glass to prevent the appearance of a green sheen, ensuring a true colour. A hygienic alternative to tiling, this red glass splashback is incredibly low maintenance and simply needs a quick wipe with a soft cloth and some warm soapy water to clean. Our red splashback is perfect for the area behind your hob but can also be used between wall and base units to create a sleek, seamless look throughout your entire kitchen. When you are ready to place your order, simply select the items you need below to add them to your shopping cart. This red glass splashback is available in stock to ensure a speedy delivery.